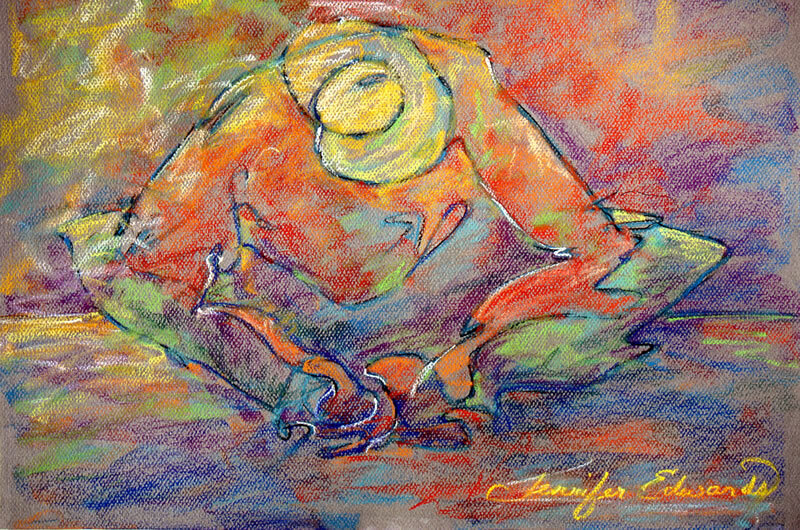 The above drawing is titled “Butterfly Pose”…hopefully you can see that. This one is called “Sylvia”, drawn of a dear lady who was a regular at the Drawing Circle years ago. I choose color to express how I feel about the subject. In her case, warm, vibrant colors for a very youthful mature woman. Such a dear! Explorations in line continue for me…I think when I’m 80 I’ll still be discovering wonderful new aspects and possibilities in line. Beautiful – and you’ve inspired me to do more blind contour drawings. I saw a big Picasso gallery show yesterday at Gagosian in NYC and went immediately to his lithos to again analyze his lines!! A genius! Wow, your posts are inspiring, to say the least! You are a fabulous sketcher, and I love what you’re saying about blind contour and lines……..thanks – I’ll be back for sure! I am wanting (NEEDING) to get AWAY from photo-realism in my art, and I think you’ve given me a way…. I love your trip sketches! gorgeous!